Director Stephen Gyllenhaal talks about his new political comedy Grassroots, showing in the Laugh strand of the BFI London Film Festival. Grassroots is based on the true story of Grant Cogswell, a dishevelled Seattleite with a bee in his bonnet about mass transportation who decided to run for city council in the early 2000s. IN UTERO is a cinematic rumination on what will emerge as one of the most compelling subjects of the 21st Century – life in the womb and its lasting impact on human development, human behavior, and the state of the world. IN UTERO brings together for the first time convincing data that explains that we are not only our genes but a product of our environment as well. And if both men and women are made in the image of God, then how can God not be a woman as well as a man? Frankly, it doesn’t make sense. 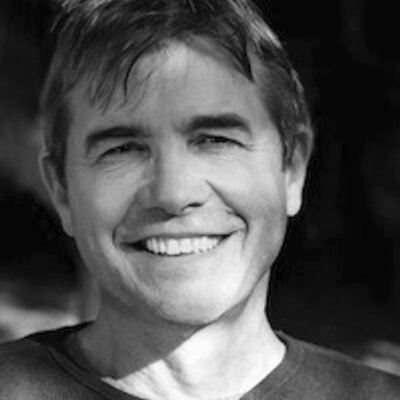 Stephen is a poet (Claptrap), a veteran film and television director, writer, and producer. His feature directing credits include Paris Trout, for which he received a Director’s Guild of America Award for Outstanding Directorial Achievement in Dramatic Specials, as well as the theatrical films Waterland, A Dangerous Woman, Losing Isaiah and Homegrown. In 2012, he received a DGA nomination for Outstanding Directorial Achievement in Movies for Television for Girl Fight. He co-wrote and directed the indie film Grassroots, which made its theatrical debut in Summer 2012, and he recently directed the indie film So B. It, based on the best-selling young adult novel. He directed the Peabody award-winning dramatic series Rectify for the Sundance Channel, Billions for Showtime, and Bosch for Amazon. His producing credits include the TV movies Living with the Dead, The Patron Saint of Liars, and A Shattered Mind. Stephen served as producer of the documentary In Utero, and will direct the followup documentary, which is now in production and expected to be released Fall of 2018. Best of all, Stephen is the father of two wonderful grown kids; one wonderful toddler, and grandfather to two stunning granddaughters. He’s married to Kathleen Gyllenhaal, a screenwriter and the director of In Utero. Stephen is developing a follow-up feature-length documentary to In Utero, which will explore in depth the impact of bonding and trauma on everyone of us. He is also working on two books: A Professional Patient, exploring his 45 years working in the various forms of therapy and analysis, while also working in Hollywood — the villains and the heroes in both fields. And Liquid Motel, a fictional portrayal of the death of his mother and his fifteen years of psychoanalysis with Dr. Bernard Bail.